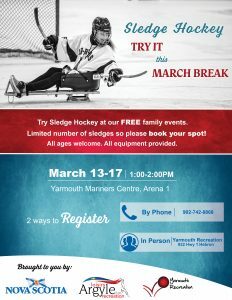 Home March Break Free Sledge Hockey! Free Sledge Hockey! March 13-17 from 1-2pm at Mariners Centre. Call to register!